Its been almost a year since Intel first announced their Ultrabook concept, and the notebooks have definitely taken the market by storm. 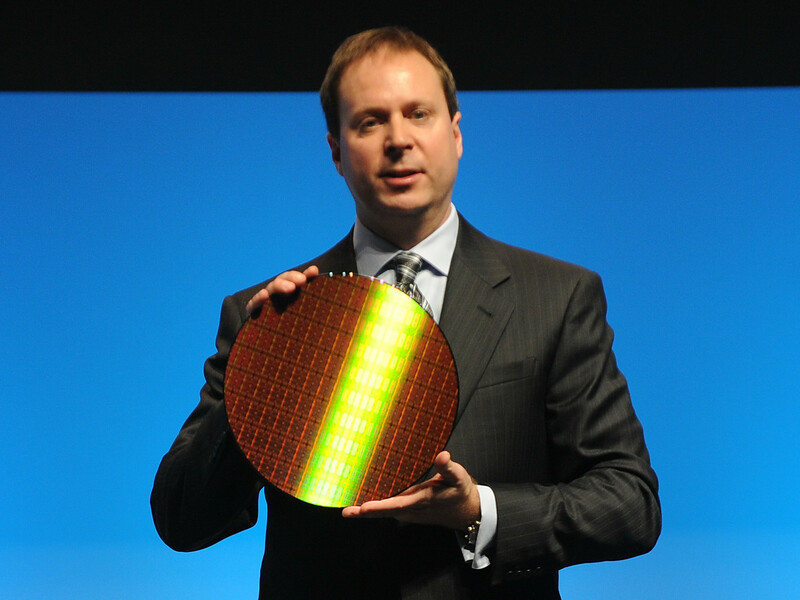 Speaking at the Intel Developer Forum in Beijing, Vice President and GM, Kirk Skaugen had much to say about the Ultrabook movement. In his keynote address, Skaugen announced that over 75 new Ultrabook designs would be released in the coming months, and that prices could reach as low as $699. The new models encompass a wide variety of manufacturers and models, and include touchscreen hybrids and Windows 8 powered notebooks that will likely feature Ivy Bridge CPUs and new Integrated Intel HD Graphics options. Intel has also launched a multi-million dollar advertisement campaign for their Ultrabooks, and plans on airing various internet and TV campaigns as well as creating "Ultrabook experience zones" in stores to set their products apart. The company also plans on applying stringent testing to prospective Ultrabooks, in order to ensure the quality of their trademark. The keynote speech also addressed various concerns about identity theft and security, as Intel plans on including their Identity Protection Technology in future Ultrabooks. The technology, which uses a security-token generated by an onboard chip, will be first implemented in China's popular RenRen social network but should find its way into other mediums soon enough. INTEL DEVELOPER FORUM, Beijing, April 11, 2012 – Throughout Intel Corporation’s developer forum that starts today, company executives emphasized the importance of collaborating with China’s government and industry to help create new business and innovation opportunities for Intel and its 14 million developers worldwide. The management team detailed its vision of how such collaborations could potentially spawn the next-generation of advances in business, consumer electronics and many more industries around the globe. “The impact of major global trends, such as the rapidly growing middle class as well as the explosive growth of connected, mobile Internet and cloud computing traffic, is playing out ten-fold in China,” said Sean Maloney, executive vice president of Intel Corporation and chairman of Intel China. The announcements included the introduction of Intel® Small Business Advantage (SBA) designed to help maintain and protect PCs automatically and improved visual experience with built-in visuals on Intel’s forthcoming 3rdgeneration Intel Core products with Intel® HD Graphics 2500/4000. The company also revealed that Intel Labs China will work closely with leading Chinese OEMs, operators and municipalities for ongoing technology research and development in China. During his keynote presentation, Kirk Skaugen, vice president and general manager of Intel’s PC Client Group discussed how Intel is helping drive a dramatic change in the personal computing experience for consumers and businesses with new hardware, software and solutions. Ultrabook™ devices have already begun this transformation, and Skaugen showcased numerous systems on stage and reiterated that more than 75 designs are planned for 2012 with many touch-enabled systems expected. This next wave of Ultrabook devices, powered by 3rdgeneration Intel® Core™ processors with Intel® HD Graphics 2500/4000, will bring significant performance improvements for even greater computing experiences. To help address online fraud, a common concern for consumers today, all Ultrabook devices will now include Intel® Identity Protection Technology, enabling a more secure and convenient way to access popular websites2. Skaugen announced that RenRen*, China’s most popular social networking website, will incorporate Intel Identity Protection Technology as part of its focus on providing secure online experience for its users. Additionally, he disclosed relationships with Feitian Technologies* and DynamiCode Company*, both leading-edge second factor authentication security solution services that will incorporate Intel Identity Protection Technology into their products. 1 Software and workloads used in performance tests may have been optimized for performance only on Intel microprocessors. Performance tests, such as SYSmark and MobileMark, are measured using specific computer systems, components, software, operations and functions. Any change to any of those factors may cause the results to vary. You should consult other information and performance tests to assist you in fully evaluating your contemplated purchases, including the performance of that product when combined with other products. For more information go to www.intel.com/performance. 2 IPT disclaimer:No system can provide absolute security under all conditions. Requires an Intel® Identity Protection Technology-enabled system, including a 2nd gen Intel® Core™ processor enabled chipset, firmware and software, and participating website. Consult your system manufacturer. Intel assumes no liability for lost or stolen data and/or systems or any resulting damages. For more information, visit http://ipt.intel.com. 4 (Generational Performance) Source: Performance comparison using best submitted/published 2-socket server results on the SPECfp*_rate_base2006 benchmark as of 6 March 2012. Baseline score of 271 published by Itautec on the Servidor Itautec MX203* and Servidor Itautec MX223* platforms based on the prior generation Intel® Xeon® processor X5690. New score of 492 submitted for publication by Dell on the PowerEdge T620 platform and Fujitsu on the PRIMERGY RX300 S7* platform based on the Intel® Xeon® processor E5-2690. For additional details, please visit www.spec.org. 5 (Energy Efficient Performance) Source: Performance comparison using best submitted/published 2-socket single-node server results on the SPECpower_ssj*2008 benchmark as of 6 March 2012. Baseline score of 3,329 ssj*_ops/watt published by Hewlett-Packard on the ProLiant DL360 G7* platform based on the prior generation Intel® Xeon® processor X5675. Score of 5,093 ssj*_ops/watt submitted for publication by Fujitsu on the PRIMERGY RX300 S7* platform based on the Intel® Xeon® processor E5-2660. For additional details, please visit www.spec.org.1.